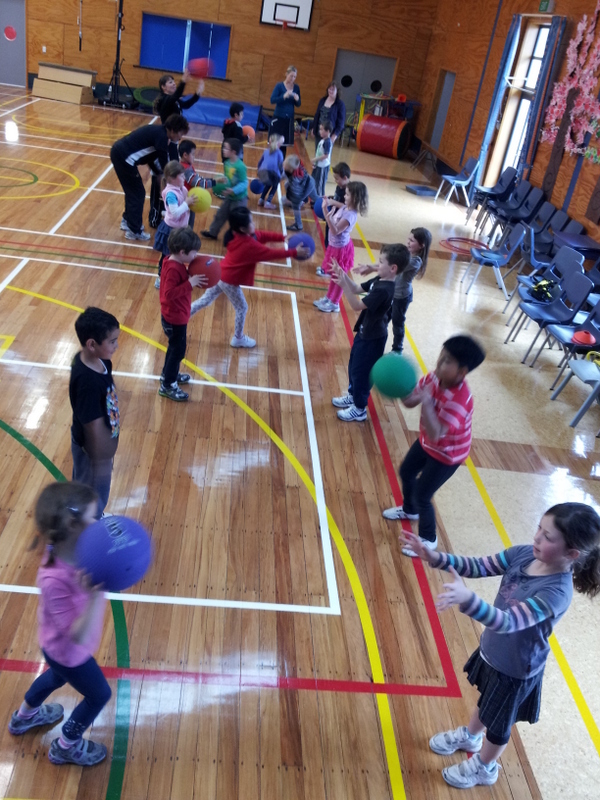 This week we have been lucky enough to have three Fun Ferns netball lessons. 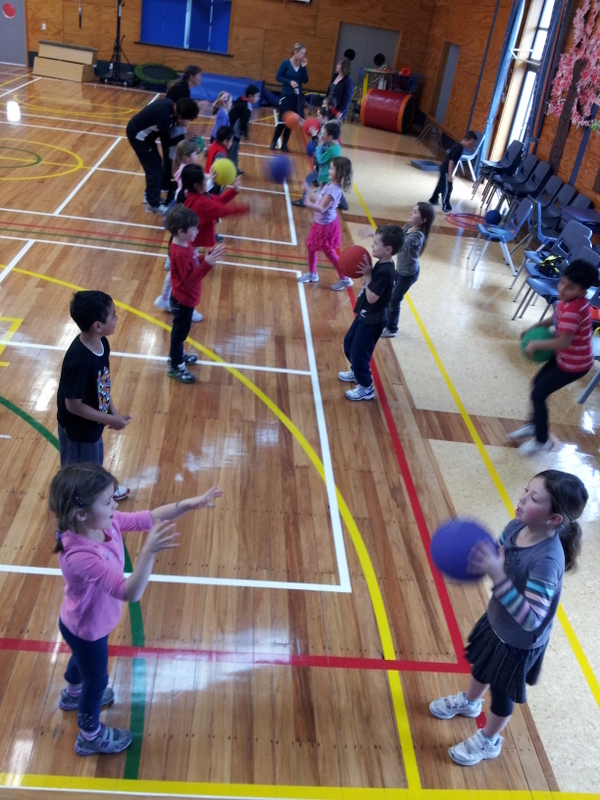 We have learnt three types of passes - chest pass, bounce pass and rainbow pass. 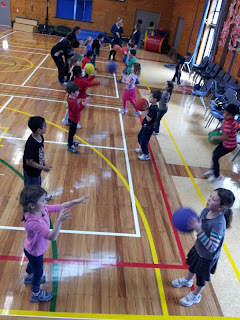 We have also been doing lots of fun running and passing drills. Jo, our coach, was so impressed with our fantastic netball skills. Thank you to the parents who came along and helped with our lessons and thank you to Caitlin's dad who took these great photos of us practising our rainbow passes. Our balls had to make a curve high in the air like a rainbow. Hello, we liked your photos about netball. 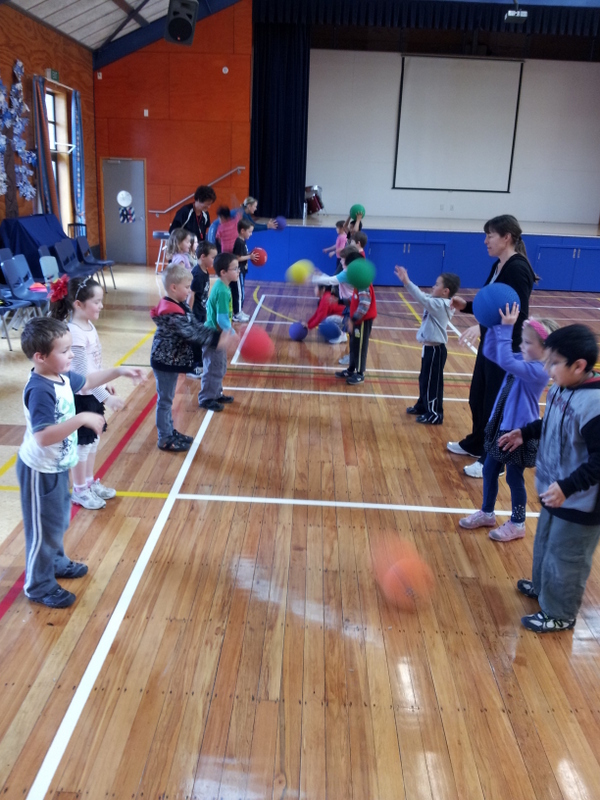 We also practice our skills in the hall. We call the rainbow pass a lob pass. We have 5 netball players in our class. Their team is called Junior B. Their coach is Melissa. They play on Saturday mornings. Bye.